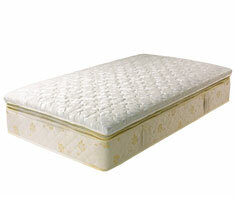 Types of Mattresses used for bedding include: Inner Spring; Memory Foam; Latex Foam; and Air Beds. If you have a type of bed with a water-filled mattress, you should put a checkmark for 'Water Beds' as part of your home features in your Home Wizard app. Mattresses are made of fibrous materials and springs which become compressed and matted down over time. Shown in the 'Routine Care' section are the recommended routine maintenance tasks for your mattresses. The 'Q & A' section shows answers to common questions. And the 'Articles' section provides helpful articles about your mattresses.